With the Avon True Colour Nailwear Pro+ Nail Enamels making an appearance in C10 (UK) at only £3 a pop, I've used this opportunity to share with you the very elegant and ladylike shade Rose Gold, from the collection, a rosy peach with shimmer. I applied 3 coats to intensify the colour and sealed with top coat. The bottle & brush are the same as the Mark Gel Shine range of nail enamels, bottle size 10ml. When I first saw the shade it reminded me of Dazzle Pink from the Mark Gel Shine range, but if you have a look at the two together, they are quite different, but similar with their shimmer frosting. 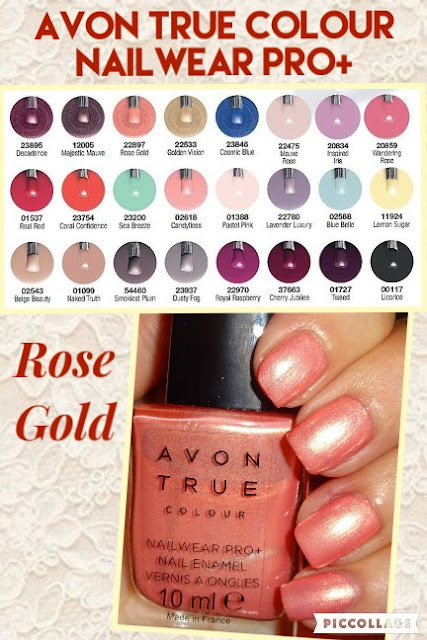 Rose Gold has a rosy hue, whereas Dazzle Pink is more peach. 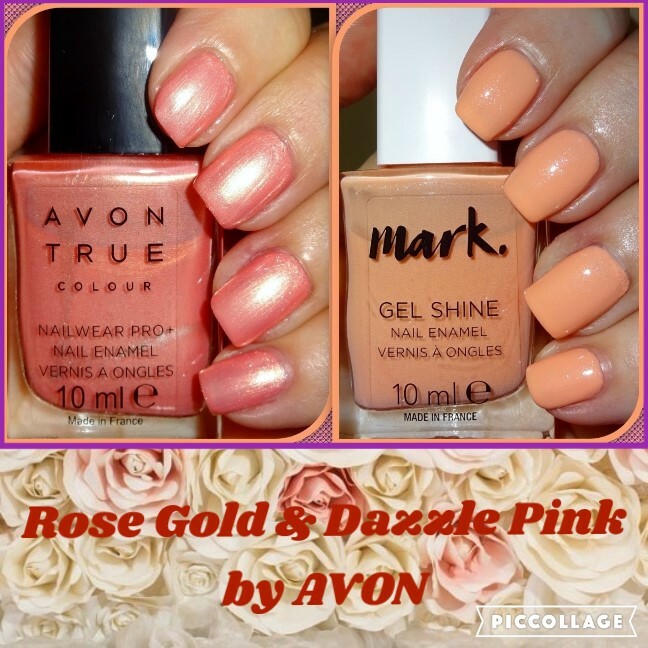 I've got a healthy collection of the Mark Gel Shine range, I think the same is going to happen with the Avon True Colour Nailwear Pro+ range! Ooopsy! At £3 a bottle you really can't go wrong, great quality and super formulation.